Do you run a commercial kitchen? Are you TR/19 insurance compliant? Are you aware that it is essential that kitchen extraction and duct systems are cleaned regularly by trained professionals? 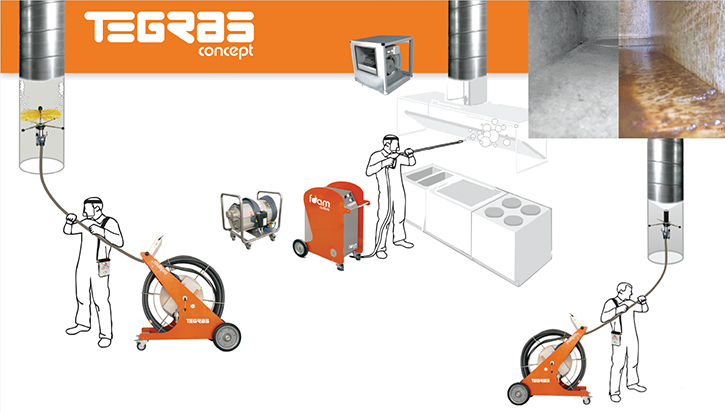 Grease which accumulates in any extraction system is a considerable fire risk. In fact, 70% of fires in commercial kitchens can be directly linked to faulty extractor ventilation systems due to a build-up of fat and grease. Often, as these fires are avoidable with proper system maintenance, insurance companies refuse to pay out. We understand that often, having your kitchen extraction system cleaned can cause disruption to your normal routine, this is why we offer to perform cleans outside of normal working hours to minimise the impact on your daily routine. Spick ‘N’ Span Services are the only company in North Wales to have trained with the National Duct Cleaning Academy (NDCA). Our team are trained to properly clean kitchen canopies, extraction and duct systems to insurance compliant standards (TR/19 standards). Spick ‘N’ Span Services have the training and expertise to carry out a full audit, clean and certification of your duct system. Our team’s specialist training in commercial kitchen duct cleaning ensures that the clean will meet all requirements and be of the highest standard. Spick ‘N’ Span Services are qualified to provide complete canopy, extractor and duct cleaning services in accordance with the requirements of TR/19, the leading guidance document issued by the B&ES Association; British Standard and European Norm BSEN: 15780; and BG49/2013, BSRIA’s guide on Commissioning Air Systems. The setup & management of a cleaning schedule. A member of our specialist team will carry out a detailed pre-clean report. This report will advise on how often the ductwork should be tested and cleaned, according to the tables set out in TR/19. A certificate is issued after every full clean and can be used as proof of the work carried out as of TR/19 for both insurance and legal reasons. 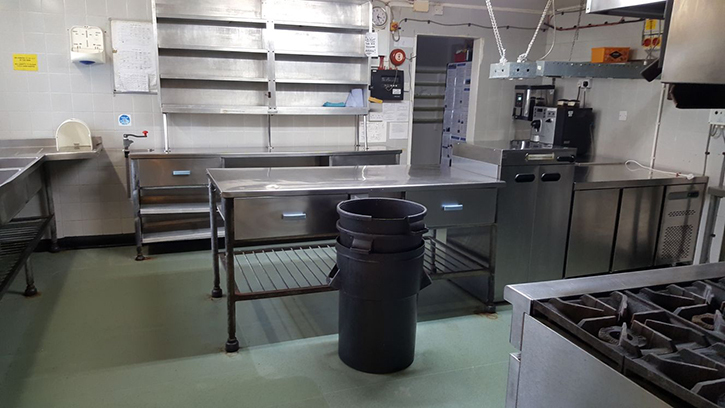 Spick ‘N’ Span Services can advise on system access design and installation and specialises in devising tailored hygiene maintenance schedules to ensure that you achieve compliance with TR/19, and stay compliant in the most cost-effective way. Spick ‘N’ Span Services can help you spread the cost of your kitchen duct cleaning, using their monthly pre-pay service, which allows you to pay a set amount each month, amounting to the cost of your clean when it is due.